I've had these beautiful antique glasses for well over a decade. 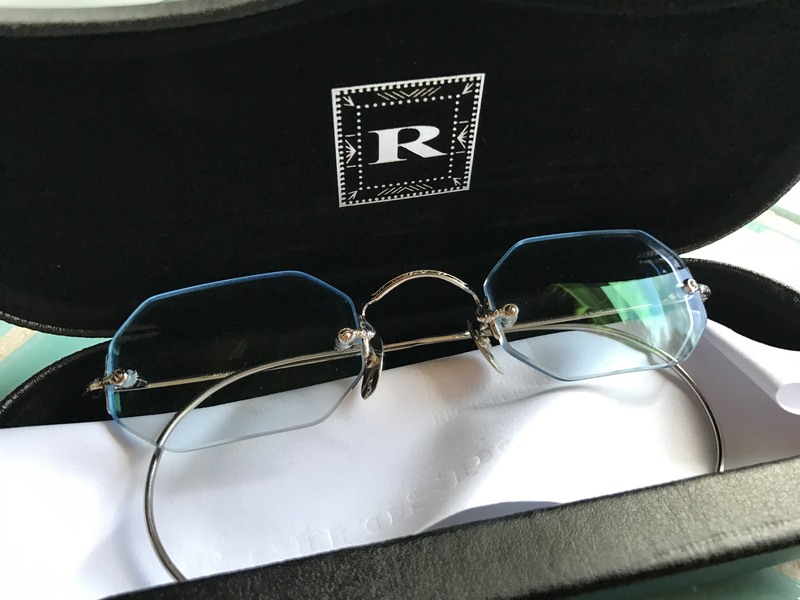 Retrospecs & Co., the folks who sold them to me, have also taken fantastic care of getting me lenses, and an upgrade, over the many years. About 15 years ago I had a lot of FSA account money left over at the end of the year. I was young, healthy, and had a made a mistake thinking I'd need medical care that year. I did not even particularly need to wear glasses, but for some reason I'd wandered into a glasses shop, who had a display of "Retrospecs" a line of carrying refurbished American eyewear from yesterday. I fell in love with their 1930s solid white gold three-piece frameless glasses made by the American Optical Company. I barely needed glasses, my vision was only slightly fraying at distance, but these just screamed 90s MATRIX goth antique minimalism. They had to be mine. I didn't consider that getting octagonal lenses cut and mounted once a year would be no easy feat. Luckily the folks at Retrospecs grew from a display in a few glasses stores to opening retail locations of their own. I'd send my glasses to LA, and now just drive them into San Francisco. The staff are always super careful, and detailed, in making sure my treasured glasses make it back to me safe. As doom approaches, I now need my glasses while driving, and under a motorcycle helmet. These super light, delicate frames can't take that kind of punishment, so a few years back I moved to the horn-rimmed glasses I now wear. 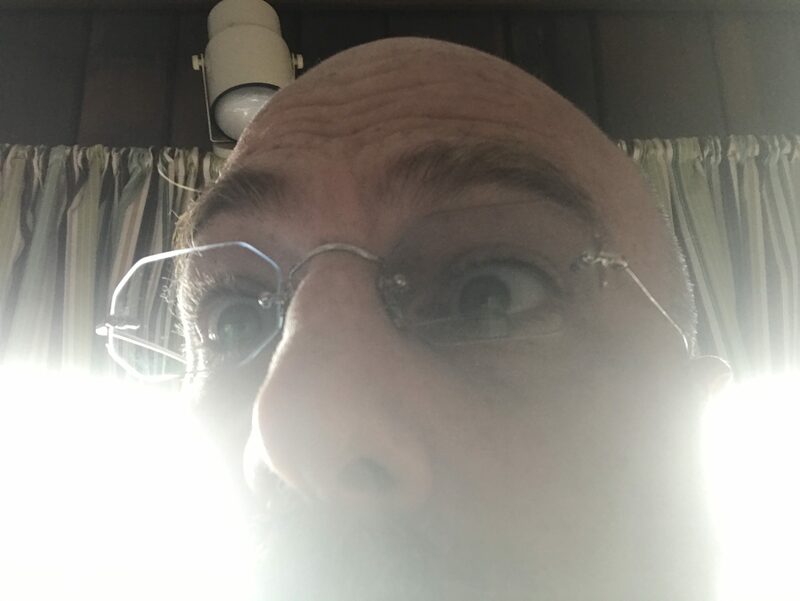 Around the same time, the folks at Retrospecs let me know they'd come across a set of solid gold nosepieces for my antiques, the prior ones were a mother-of-pearl, and would I like an upgrade? This pair of glasses have become a part of my identity, like my watches and pens, so of course I did. These are slim and their case fits in a jacket pocket well, and so they travel with me as my backup pair. They are also my first choice when getting all dressed up. If you want to check out some really amazing frames, go visit Retrospecs and Co.